A recent outbreak of hepatitis A linked to contaminated scallions imported from Mexico, which killed three people and sickened hundreds, are the latest examples in a sharp rise of food-borne illness from fruits and vegetables. The Early Show medical correspondent Dr. Emily Senay explains the dangers of the disease. She also shares tips for avoiding hepatitis A exposure. 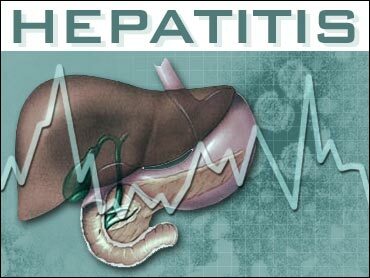 The outbreak, centered around a western Pennsylvania outlet of the Chi-Chi's chain of Mexican-American restaurants, is the largest single-source hepatitis A outbreak in U.S. history. Scientists and government officials believe more people, on the advice of nutritionists, are eating more fruits and vegetables year-round, which leads to an increase in imports from countries with less stringent sanitary conditions. Less than 2 percent of the produce that crosses the border is inspected for disease-causing bacteria, according to the Food and Drug Administration. Senay says one of the biggest problems is in the quality of the water used. Many of countries have limited sources of sanitary water, including the water used to irrigate the crops. As a result, a great deal of freshly picked produce can pass through streams of untreated waste before making its way to the United States. Critics say part of the problem of contaminated food and water has been the FDA's lack of regulatory authority and its understaffing. Thoroughly rinse vegetables with water and dry (cool water sometimes not enough); a mild soap is fine to use on certain produce, so use your discretion. If eating out, Senay says, you need to be in a restaurant that has a clean kitchen and signs of it. Take a look around at the tables, utensils, floor and people serving to make an educated decision.